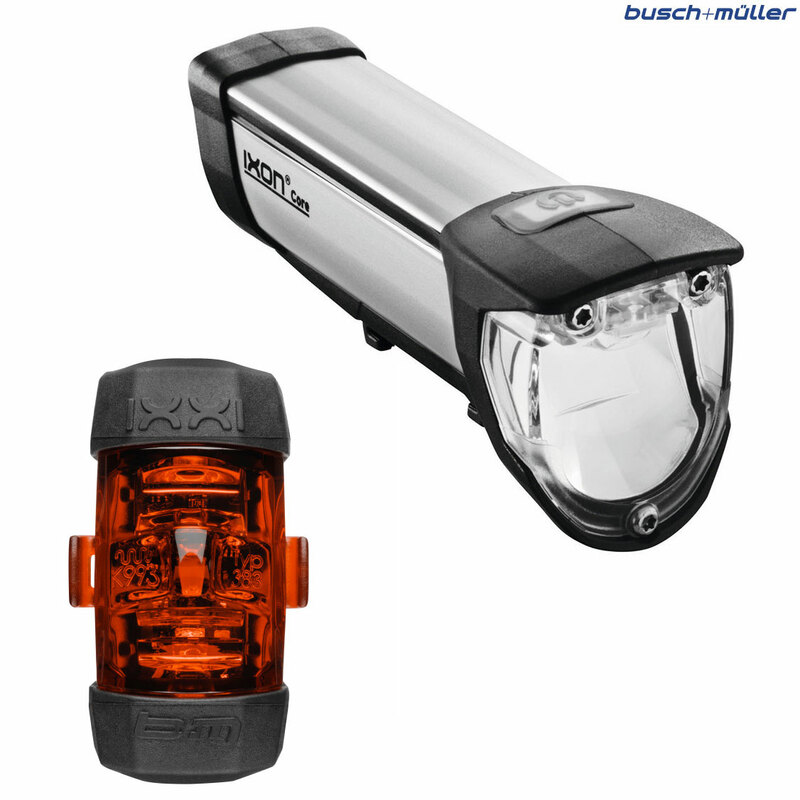 The new light set from Busch & Muller. Consisting of the Ixon Core front light and the IXXI seat post light in one practical package. In front we have the new small Ixon Core with IQ2 technology. It provides a very good and homogenous illumination of the road with 50 Lux output. Removable with a simple click, the universal mount clamps to the handlebars. An aluminium casing with an all round soft component for protection against impact and ingress of moisture. Behind is the seat post mounted IXXI. A battery rear light with high power LED. Very bright, large viewing angle. Fits by a universal strap to all seatposts. Only 53mm high, 31mm wide. At 35g (including batteries and bracket), flyweight. Remove the light unit from the robust rubber housing to allow you to connect rapid-charging USB socket at the base of the light.